The national flag of Bangladesh consists of a green background with a red circle in the middle, slightly offset from the center so that when the flag is flying by mast, it appears central to the overall design. 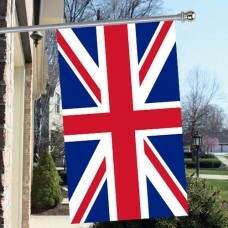 The flag of Banglesh that we see today was first flown and adopted on January 17th, 1972. The green field represents the lush greenery of the land of Bangladesh. With its tropical seasons and sunshine, Bangladesh has plenty of green covering its landscape. 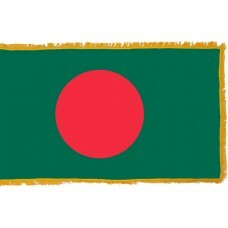 The red circle represents both the sun rising and setting over the green land and of the blood of the men who sacrificed their lives in the battle for the independence of Bangladesh. The current Bangladesh flag is based on an older version of a similar design. The older flag was used during the Bangladesh Liberation War in 1971. The difference was, the older flag had a yellow map of Bangladesh in the center of the red circle, which has since been removed because it was hard to depict the map perfectly on both sides of the flag. The origin of the Bangladesh flag is from the student heads of Swadheen Bangla Nucleus. KaziAref Ahmed, ASM AbdurRab, Manirul Islam, HasanulHaqInu, Yousuf Salahuddin Ahmed and a few unnamed students designed the flag we see today on June 6th, 1970. The map was traced and drawn onto material. The original flag was made from donated clothes from Bazlur Rahman Lasker, the owner of a tailor shop in Dhaka Market named Apollo Tailors. 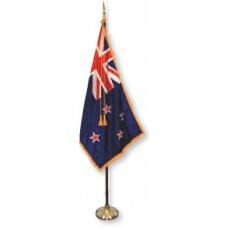 This first version was flown on the 2nd of March 1971. In 1970, Bangladesh was actively rising with their self-determination movement as Bangladeshi Nationalists began demanding greater rights. The Pakistani military decided to instigate military action to suppress the movement and on the evening of March 25th, 1971, an operation of West Pakistan Militia swept through East Pakistan killing and targeting Bangladeshi students, civilians, religious minorities and armed personnel. The operation was named "operation searchlight" and is a well-documented horrific event, which is now referred to as the 1971 Bangladesh genocide. Following the attack, the junta annulled the elections of 1970 and were able to arrest the Prime Minister-designate and on December 16th, 1971, Pakistan surrendered and Bangladesh had won its independence. Bangladesh is located in Southern Asia, it shares its borders with India and Myanmar (Burma). Nepal, China, and Bhutan are also close neighbors. The Bay of Bengal is a huge maritime bay which is nearly as big as the country itself.